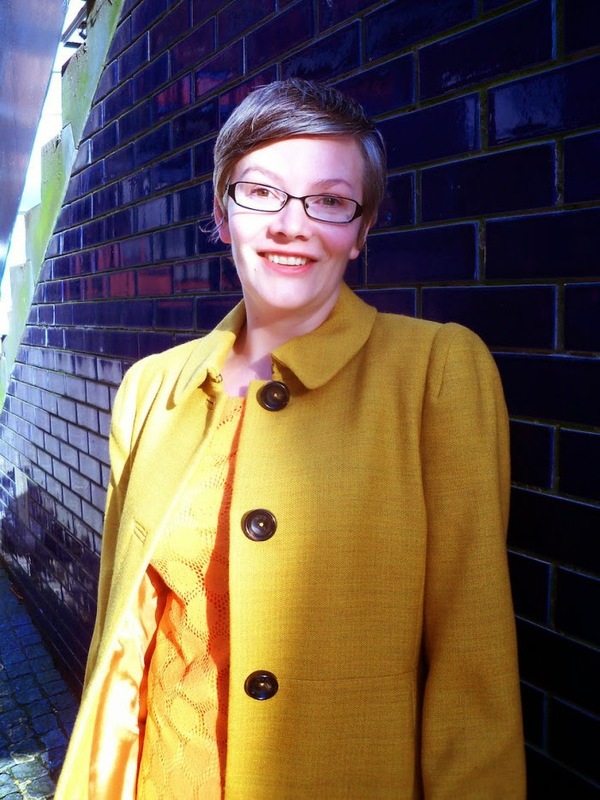 I'm delighted to welcome as my guest this week novelist and short story writer Jane Alexander, who's based in Edinburgh and whose debut novel, The Last Treasure Hunt, a witty morality tale exploring our modern obsession with fame and celebrity, was published last week. Tomorrow I'll be posting a clue in the real life treasure hunt her publishers, Saraband, have organised - you can win a signed copy of The Last Treasure Hunt and possibly more! 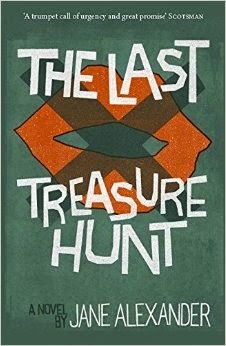 Here’s something I’m not meant to tell you: my first novel, The Last Treasure Hunt, isn’t really my first novel. It's my debut – but it's not the first book I wrote. Though it’s rarely acknowledged, there’s nothing unusual in this: a 2010 survey found that the average number of novels an author writes before being published is between three and four. These ‘practice novels’ are sometimes published later on in an author’s career, but more commonly they're relegated to a dusty box-file or a forgotten Word document. Such is the fate of my own practice novels. With each of the two books I wrote prior to The Last Treasure Hunt, the fundamental flaw was the story: it just wasn’t strong enough. As a creative writing teacher, my experience suggests that most emerging writers fall into one of two categories. There are those who can craft beautiful sentences; and those who can tell compelling stories. A lucky few are equally able with sentences and stories – but most will find they have to work hard to develop their skills in their area of weakness. I fell firmly into the first category, though it took me some time to realise this. When agents and publishers declined my submissions, they did so with compliments about the beautiful writing – but if the writing was so beautiful, what was I missing? Though I’d completed a Masters in Creative Writing, in seminars and workshops we’d paid very little attention to the nuts and bolts of storytelling. This, I think, is a question of scale: it’s much easier to focus on studying and critiquing smaller texts – sentences and paragraphs, short stories and novel extracts – than to work through a reading list of scores of novels and deconstruct the elements of plot. Recently Hanif Kureishi went so far as to complain that most of his students can’t tell a story, and that storytelling is an unteachable skill. He’s dealing in hyperbole, of course. Storytelling may be a harder skill to teach than, say, writing convincing dialogue – but it’s far from unteachable. Dare I say that only a poor teacher would insist otherwise? If you want to build up your storytelling muscles, though, you may have to look beyond a traditional creative writing course. Once I’d realised what was wrong with my practice novels, I turned to a screenwriting class for help. Here, I learned about three-act structure and plot points, reversals and value changes, active questions and narrative tension. I learned techniques that transformed my approach to planning and structuring a novel, and developed new methods of shaping scenes and chapters. In short, that class was a revelation. As with any newly acquired knowledge, the more I put theory into practice, the more fluent and effortless my practice became. Soon, crafting an absorbing story became one of my favourite parts of the novel-writing process – and when I pass what I’ve learned on to my students, I can practically hear the cogs turning as they begin to think about their works-in-progress in ways they never have before. And the next novel I wrote – my third – turned out to be my ‘first’. To find out more about Jane, her creative process and the novel, visit her website here. Come back to Literascribe on Friday to check out the latest clue in the online treasure hunt! Reminder: my next Fictionfire Focus Workshop is on Short Stories, on 11th April - there are still places available. Find out more here. Fictionfire by the Sea, my writers' workshop and retreat in St Ives, takes place from 17th-19th April. It's fully booked, but you can still add your name to the waiting list by emailing me at info@fictionfire.co.uk. You can also join the Fictionfire mailing list on my website, to be kept informed about future workshops and retreats. In June, I'll be running a day course on Character Building and giving a lecture on the essentials of Self-editing at the Winchester Writers' Festival - visit www.writersfestival.co.uk.